Injuries to the pitching staff certainly didn’t help the Mariners, who used a franchise-record 40 pitchers. They also were inconsistent in many areas and had too many baserunning mistakes. For much of this season, the Mariners believed they would be playing on Tuesday, Oct. 3 — the day of the American League wild-card game. The goal for the 2017 season was always to play in the postseason in some fashion. It was made clear at the Mariners’ pre-spring luncheon in January, reiterated during spring training and mentioned often as the season begun. The target of the wild-card game was an early season adjustment with the realization that they would never catch the quick, meteoric rise to the top of the American League West standings. A wild-card spot, particularly hosting it, still seemed attainable. They had been so close in 2016, and the current team had more talent. 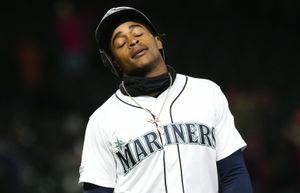 But instead of Safeco Field being alive with the hum and optimism of the postseason on Tuesday, it was quiet and being readied for another slumbering winter of discontent. 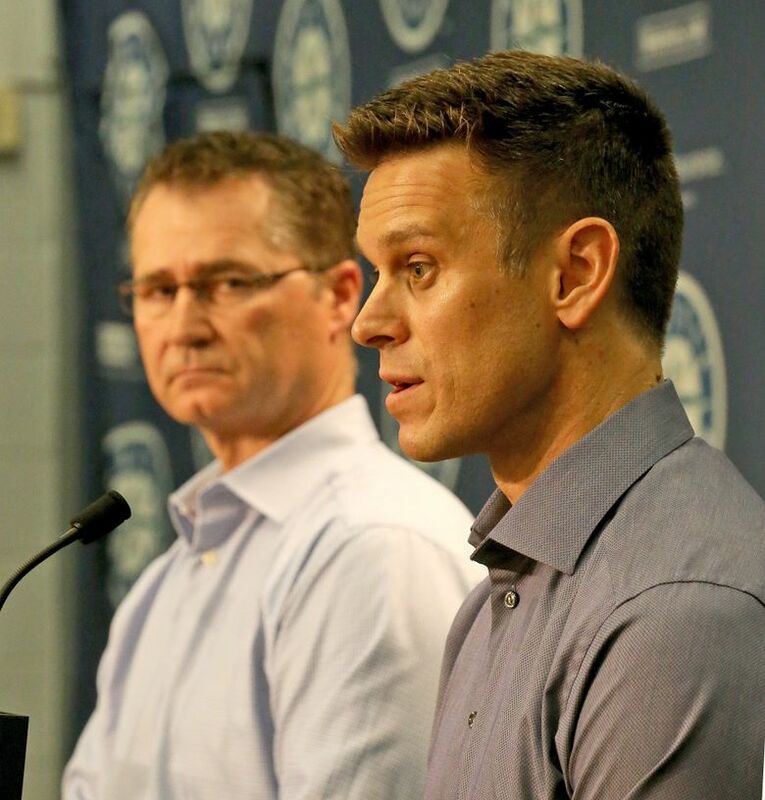 While players from the Yankees and Twins arrived at Yankee Stadium for the AL wild-card game, Mariners general manager Jerry Dipoto and manager Scott Servais climbed the stage of a media interview room at Safeco to provide commentary on the obituary of the Mariners’ 2017 season and discuss the upcoming offseason where moves will be made to try and right the wrongs of the past season to put together a team that can snap a postseason drought dating to 2001. Yes, the injuries to the pitching staff, and other parts of the roster, have been well documented. The Mariners used a franchise record 40 pitchers this season, which tied the 2014 Rangers as the most in MLB history. Seattle also had 17 different pitchers start a game. Left-hander Ariel Miranda threw the most innings at 160, which isn’t even enough to reach the minimum of 162 to qualify for the ERA title. The projected starting rotation of James Paxton (24 starts, 136 innings), Felix Hernandez (16 starts, 86 2/3 innings), Hisashi Iwakuma (6 starts, 31 innings) Smyly (0 starts, 0 innings) and Yovani Gallardo (22 starts, 130 2/3 innings) totaled 68 of the 162 starts and 384 1/3 innings pitched. Smyly (162), Iwakuma (129), Hernandez (54 and 38) and Paxton (24 and 31) missed a total of 438 games. But there were issues besides health. The Mariners didn’t play consistently clean baseball. Sure, their athleticism was improved in the outfield, which was noticeable and saved runs. But they made silly mental mistakes at times on rundowns and throwing to the wrong base, giving up free bases. They also ran the bases with all the acumen of drunken college kids streaking across the quad as a prank. Their situational hitting also was lacking at times. They didn’t execute consistently enough. Those issues cost first-base coach Casey Candaele, whose responsibilities were baserunning and outfield defense, his job. He wasn’t retained, along with bench coach Tim Bogar, for next season. 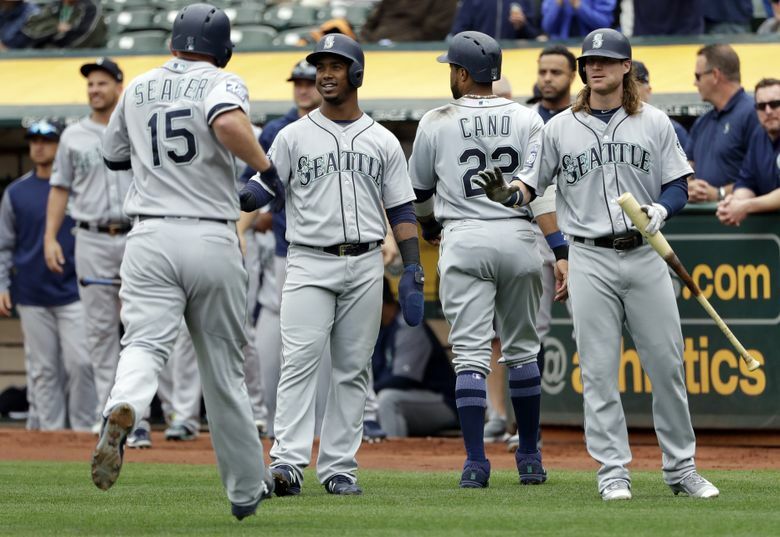 Still with all the injuries and inconsistent play, on Aug. 9, the Mariners completed a three-game sweep of the A’s with a 6-3 win where Nelson Cruz homered twice and Kyle Seager also added a dinger. They stood alone as the holder of the second wild-card spot with a 59-56 record and were headed back home. With Paxton in the midst of his best stretch of his career, the addition of another pitcher through a waivers deal seemed like all that separated them from making a push in the final 47 games. The next day at Safeco Field, it all crashed when Paxton felt a sharp pain in his chest and had to leave the game in the seventh inning with what later turned out to be a strained pectoral muscle. He joined Hernandez, Iwakuma and Smyly on the disabled list for the second time. 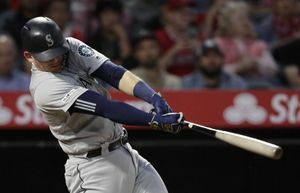 The Mariners lost that game in the ninth and were swept in a four-game series by the Angels as part of a five-game losing streak. Seeing Paxton hurt was a crushing moment for the team’s psyche. Paxton wouldn’t return until Sept. 15. By then the Mariners had fallen to 3½ games back of the second wild card. From that date, the Mariners went 19-28 the rest of the season. They had chances. But their schedule, their health and their inconsistent play never put them back into that spot again.